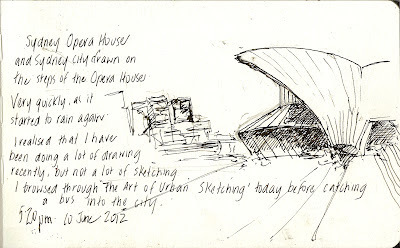 Today I realised I had been doing a lot of drawing recently, but not so much sketching. 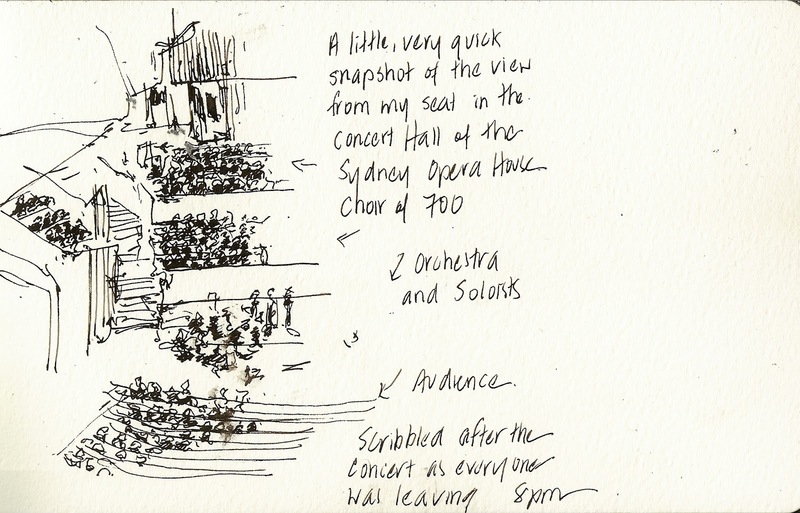 I knew I was going into the city yesterday evening, so I browsed through The Art of Urban Sketching to get me in the mood for sketching around the Opera House. 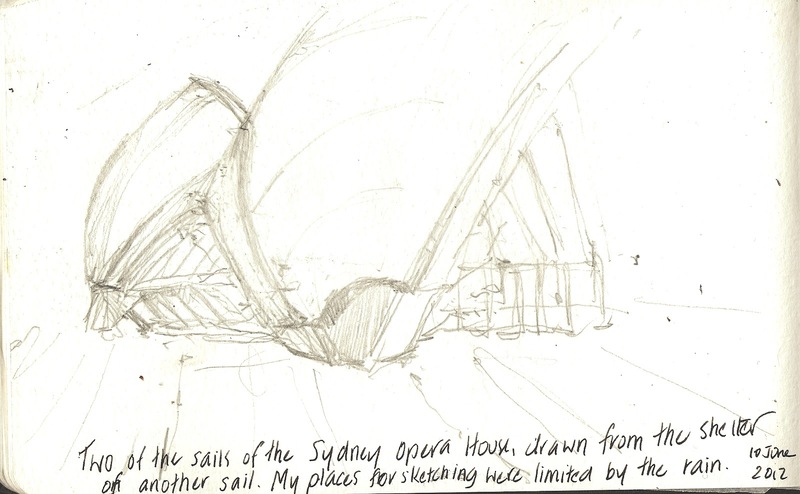 I had planned to draw the lights of VIVID , where lights are projected on some iconic buildings around the Harbour. 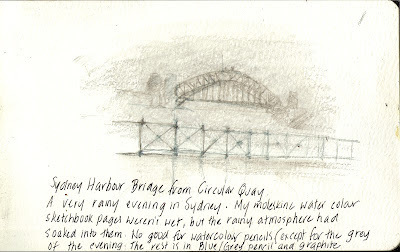 But is was so very wet that I decided that as I had seen the light display a few nights ago, I would not make my self uncomfortable in the wet and cold,. 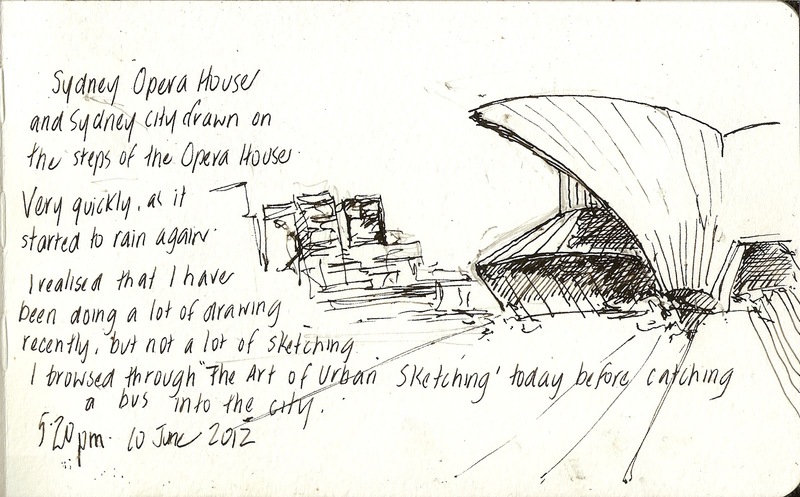 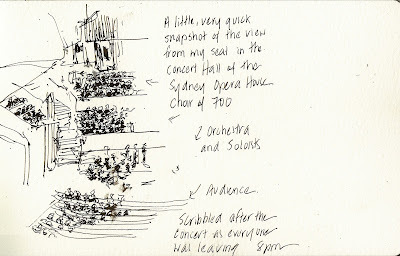 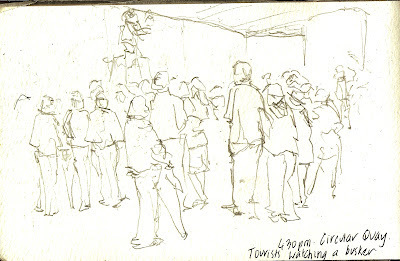 So I went towards the Opera House and sketched around there in the shelter and warmth. 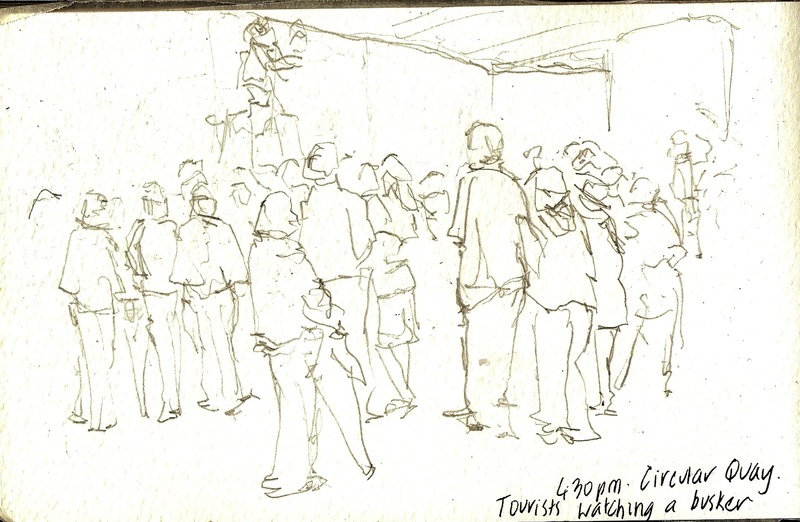 I walked past a busker who had gathered a large crowd, He was up on a platform, juggling fire. 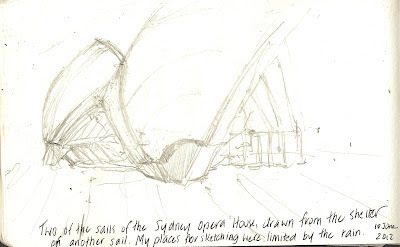 Then I tried to capture the greyness of the day. 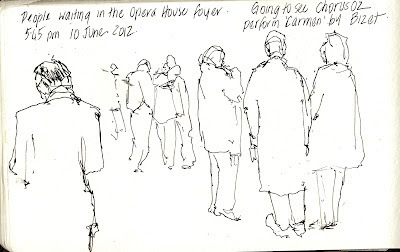 This is when I realised how damp the day was. 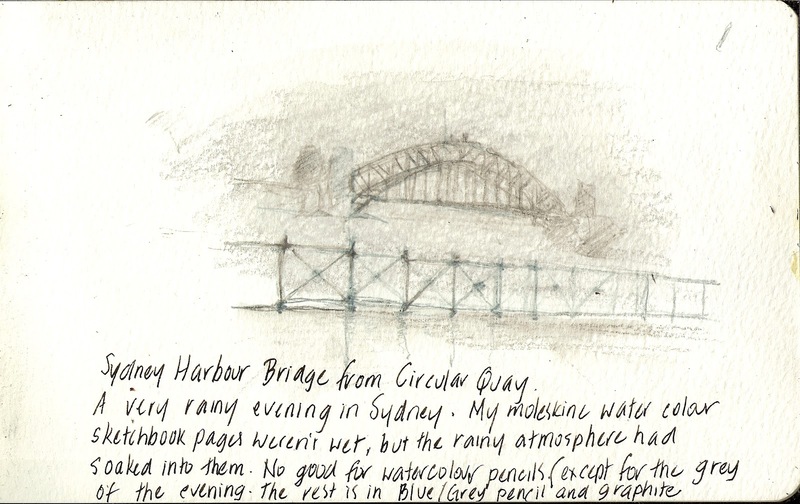 None of my pencils would take to the Moleskine watercolour page – it was not wet, but sodden with atmosphere.